When searching, people will see the pages their friends “Like” appear higher in the search rankings. Churches have a built-in support system and most of them are on Facebook. So, if your members simply take a few minutes to “Like” some or all of your church’s pages, you could get a quick bump in the search engines for them and all their friends. That’s probably thousands, if not tens of thousands of people. When searching, Bing shows you if your friends like a page. This is like a recommendation built right into your search listing. Pages that are “liked” a lot will be moved up in the search rankings and the fact that a lot of people like the page will be displayed. 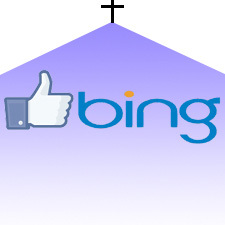 Even if someone has no FB friends who have liked pages on your church’s website, if enough people have liked your church’s pages, then your listing will still be improved and Bing will show that a lot of people like your church. So, again, if you members all “like” the pages of your church’s website, you’ll get a bump in the search rankings even for people who aren’t their friends. And you get a great recommendation in the listing as well. How influential would it be for someone looking for a new church to see “300 people Like this page” in your listing, especially if none of the other churches have that? Bing’s toolbar has a universal “Like” button. So, even if you don’t have like buttons on some or all of your church’s pages, your congregation members (and other people) can still like any or every page of your church’s website. It doesn’t get any easier for the church than that. Your members are your best earthly marketing tool. From word of mouth, to links, to likes, they have the ability to grow your church. These new Facebook features in Bing make their influence both greater and easier at the same time. 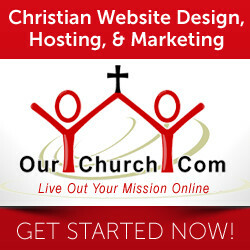 So, encourage your members to start liking your church’s site today! What do you think of the new Facebook features in Bing? What are some other ways churches can take advantage of these features? Best process to get advanced points and methods with this church marketing online blog, it has been updating well fishing with the net.Every one can get best points and concepts here.